The A.T. Still Memorial Library provides a number of resources that include images and media to support both faculty course development and student course work. Fair use and ATSU's negotiated licenses permit use of the media in most resources for educational purposes only, unless the resource itself explicitly gives broader permission. This vast resource offers very highly detailed interactive anatomy of the whole body, assorted therapeutic foci, and self-quizzing and review features. The 3D Atlas offers 9 regional models: Head & Neck, Spine, Shoulder & Arm, Forearm & Hand, Thorax & Abdomen, Pelvis, Hip, Leg, Ankle & Foot. 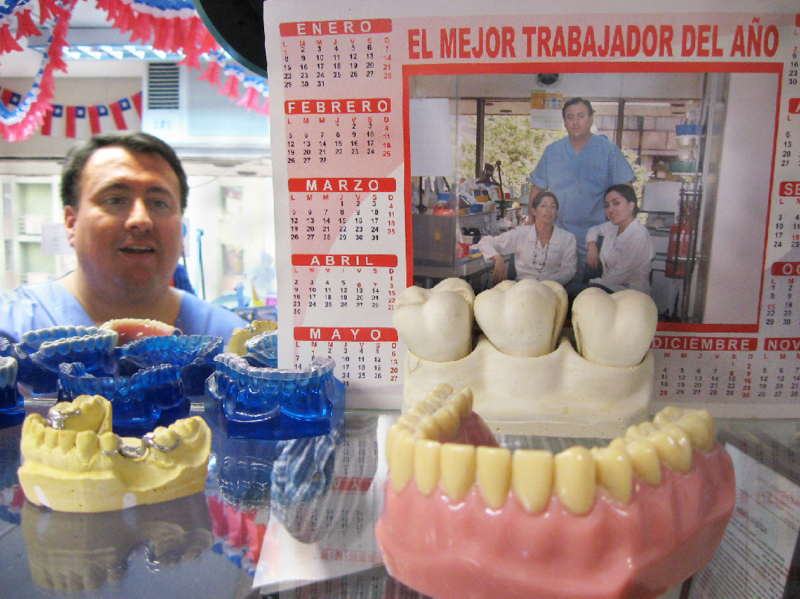 It also offers 3D Real-Time imaging of the above plus various other specific anatomical regions and systems. The Functional Anatomy collection includes Sports Injuries of the Shoulder, Sports Injuries of the Knee, Sports Injuries of the Foot, Exercise, Pilates, Yoga, and Resistance Training. The Clinical Specialties include Speech Language Pathology, Audiology, Otolaryngology, Dentistry, Head & Neck : Pediatric Comparisons, Pelvic Floor Disorders, etc. The Therapy group includes Acupuncture, Anatomy Trains, Hand Therapy, and Manual Therapy. Note: For more information, see the product training videos. 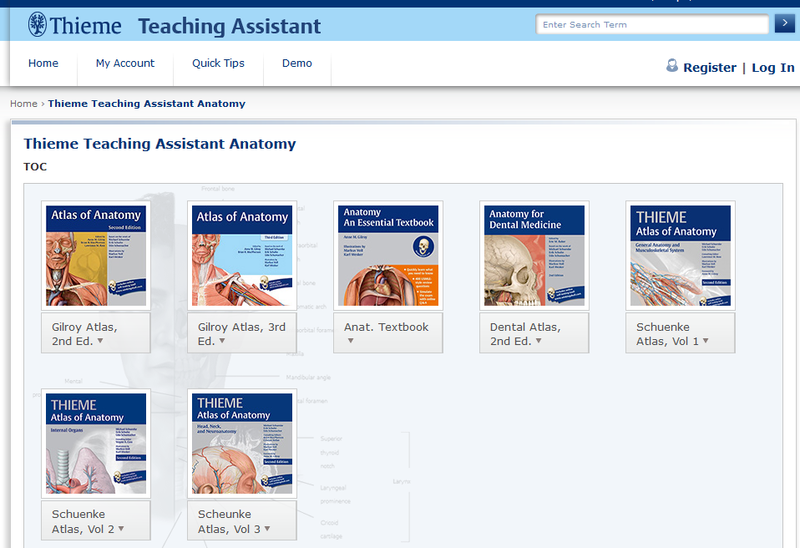 Anatomy Teaching Assistant is a presentation tool featuring all 2,000+ stunning illustrations and clinical images from Gilroy et al, Atlas of Anatomy. You can save images from this online version of the atlas to use in your course material as well as have your students use the full atlas. To be able to download images you need to set up a free user account. Click on the login box in the upper right corner of page to create your account (or click here). 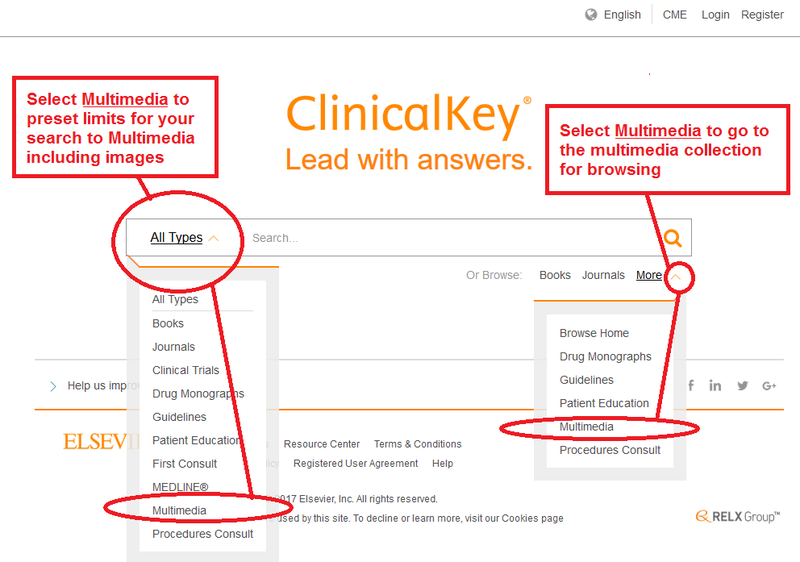 ClinicalKey is an integrated clinical information product including full text journals, textbooks, patient handouts and reviews of recent news from the publisher Elsevier. 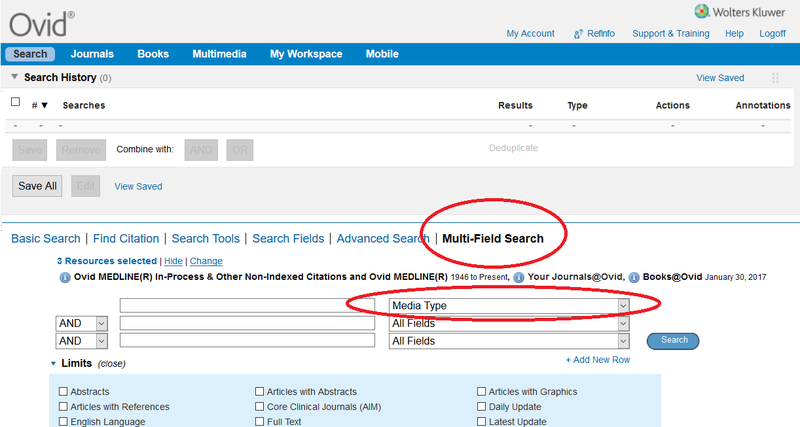 It provides an option to search for multimedia among the 3.5 million+ images and videos from its 1000s of textbooks, references, and journals. Images from the History of Medicine (IHM) provides online access to images from the U.S. National Library of Medicine’s (NLM) historical collections. IHM is available through NLM’s Digital Collections, a free online resource of biomedical books and still and moving images. The Museum of Osteopathic Medicine (MOM) & the International Center for Osteopathic History (ICOH) have excellent visual images for the history of osteopathic medicine. The physical collections located on the grounds of ATSU in Missouri include objects, photographs, documents, and books dating from the early 1800s to the present (bulk 1870-1940), with the core of the collection consists of artifacts from A. T. Still's professional and private life. View a portion online, or consider sending your students to visit the Museum for access to the larger collection. Open-i is a service of the National Library of Medicine designed to enable search and retrieval of abstracts and images (including charts, graphs, clinical images, etc.) 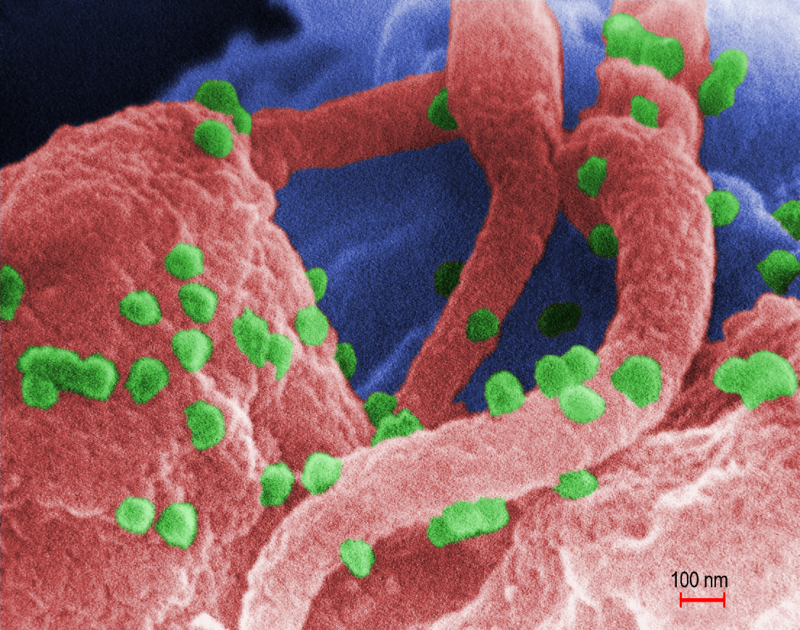 from open source literature and biomedical image collections. Searching may be done using text queries as well as query images. 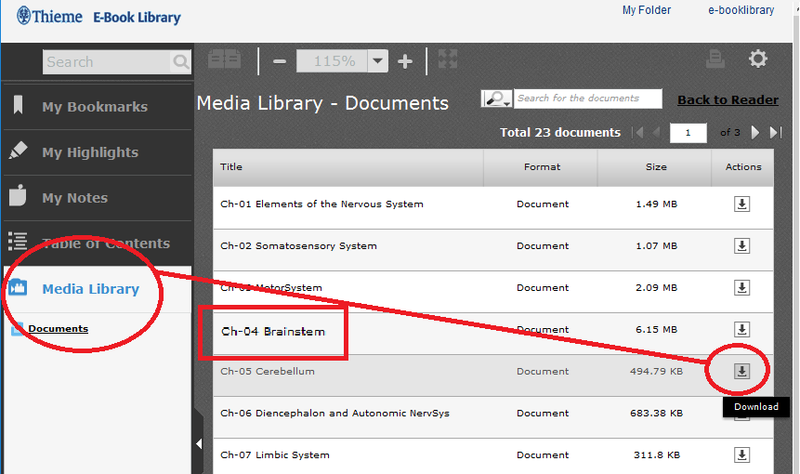 Open-i provides access to over 3.7 million images from about 1.2 million PubMed Central articles; 7,470 chest x-rays with 3,955 radiology reports; 67,517 images from NLM History of Medicine collection; and 2,064 orthopedic illustrations from an assortment of OA sources. Ovid is a journal and e-book platform that hosts many resources published by Wolters Kluwer and LWW. You may browse images and video by clicking on the Multimedia link in the menu bar or search for them using the Multi-Field Search option. 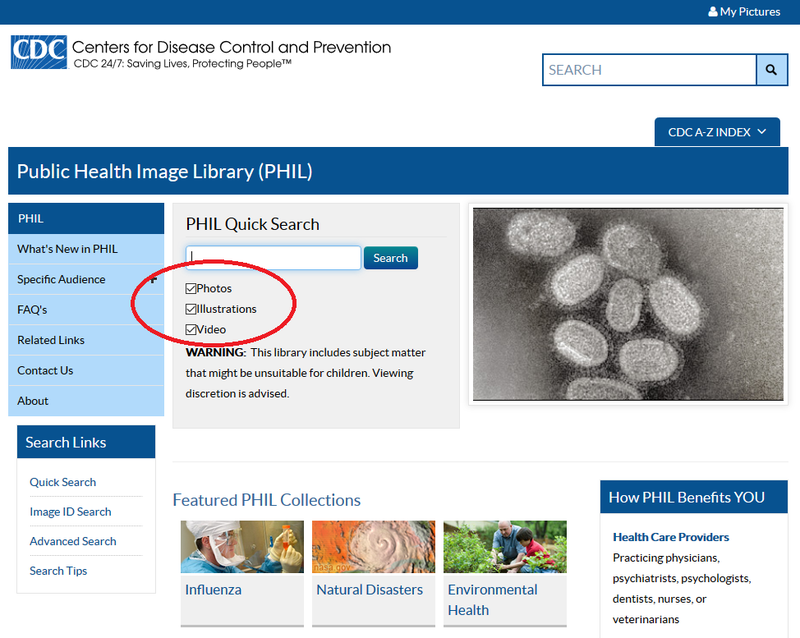 The Centers for Disease Control offer a large collection of images and multimedia for a full range of audiences, from students to healthcare practitioners to the general public, most of which are freely available and in the public domain. Collections include but are not limited to those focused on : Influenza, Bioterrorism, Health Behaviors, Natural Disasters, Electron Micrograph Imagery, Public Health Practitioners in Action, Environmental Health, Everyday Activities, Laboratory Science, Developmental Milestones, etc. 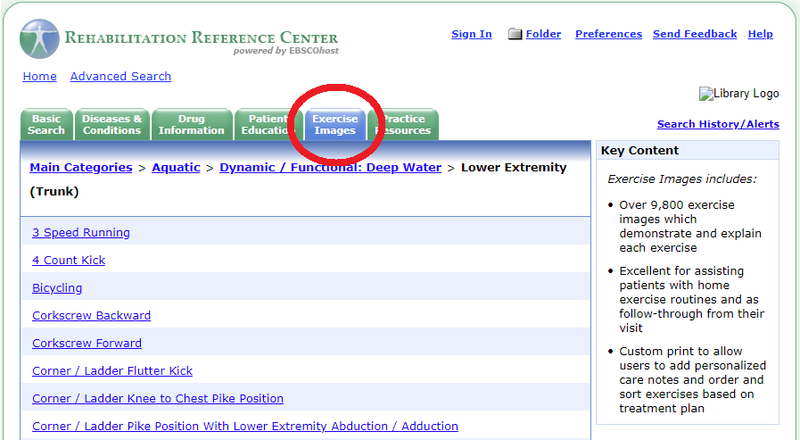 Rehabilitation Reference Center includes an index to thousands of exercise instructional images from books and articles, sorted by qualities such as disorder, type of exercise, medium, movement involved, etc. Thieme e-Book Library provides full text access to a collection of medical and dental atlases as well as basic and medical science textbooks. Downloading or saving chapters including images is possible with a free personal account. Login with your Thieme personal account. Many Thieme images may be re-used in other publications upon request. This form is required for re-use for publication, but NOT for classroom teaching or presentations unless available to the public. UpToDate is a point of care clinical resource that includes a large number of images. 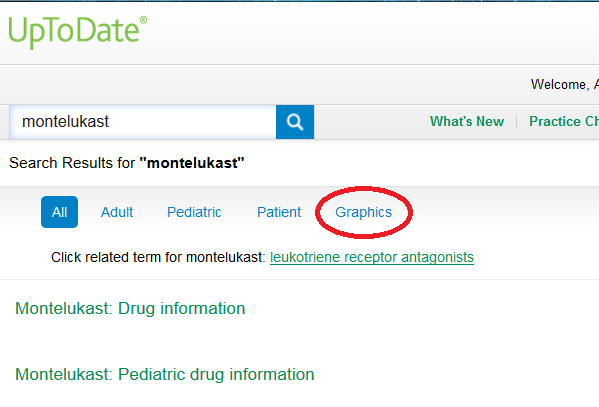 To find graphics and images, search for your topic using the search field. When your results appear, click on the Graphics link to limit your results to images and graphics.